There have been a lot of claims and counter-claims about BMW’s upcoming electric crossover, not least what it’s actually going to be called. It seemed as though it was predictably going to be called the i5, but at the moment it’s going under a working name of iNext that comes from the Vision Next 100 concept. Regardless of what it’s eventually called though, the more intriguing fact appears to be that according to the InsideEVs website, it will feature level 3 autonomous driving capability. This represents quite a significant step as level 3 autonomy is defined as “conditional automation,” which is basically a mode-specific system that allows the vehicle to take control of all driving functions. That means it’s seriously close to what most people imagine truly driverless to be, although the driver has to be ready to intervene even though they are able to have been sitting there with no hands on the wheel and their eyes off the road. If the system decides it’s not capable of performing all driving functions under the current conditions, the system will issue an alert to the driver for them to take over. It’s been suggested for quite a while now that BMW had been working on an i5 electric crossover, but that appeared to have been killed off quite recently. However, BMW itself did recently announce it was going to be simplifying its lineup to concentrate on electrification, and that an electric SUV crossover was still very much in the pipeline. Whether the vehicle is eventually called the iNext, i5 or something entirely different is of little consequence, of course. 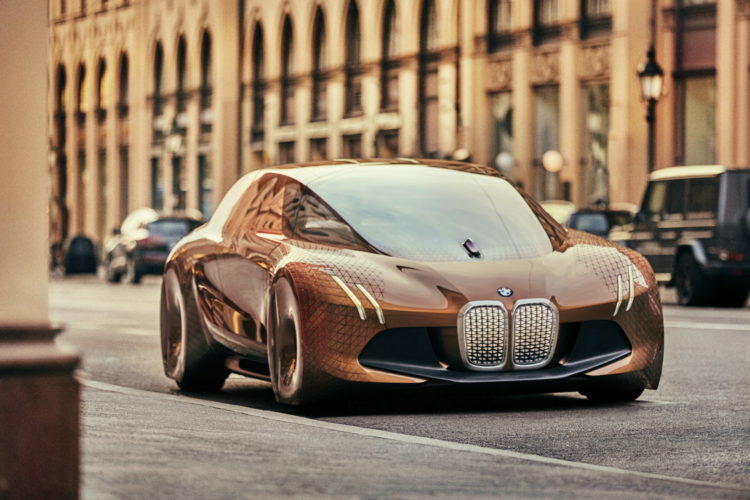 What is important is BMW has confirmed the new electric crossover will go on sale in 2021 and it will feature a number of new technologies, although the German manufacturer declined to name them. There’s also going to be a roadster version of the stunning i8 next year, a Mini EV in 2019, and an all-electric version of the X3 a year later in 2020.